A quick growing evergreen small tree. Panicles of small white flowers mid spring followed by large clusters of white winged seed, remaining on the tree to mid winter.Very hardy tree tolerating moderate wind exposure, prefers a moist soil. 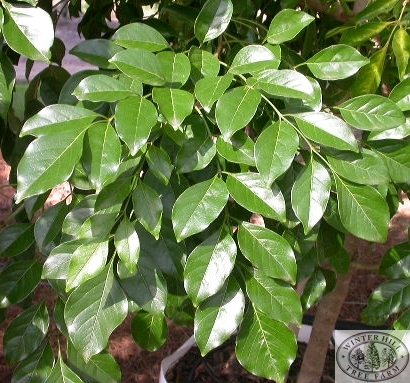 Suitable as a specimen tree or for screen and windbreak plantings. Full sun to light shade. Warm to cool temperate. Unsuitable for heavy frost areas. Light to medium. Will tolerate dry but much prefers moist. Not required, tip pruning if growing as hedge.